* Concessions are valid for all EU citizens between the ages of 18 and 25 and for EU teachers employed at state schools on a permanent contract. first Sunday of the month: on the first Sunday of every month, admission during normal opening hours is free for all visitors. members of voluntary associations carrying out activities – according to agreements signed with the Ministry pursuant to Article 112, paragraph 8 of the Code – to promote and raise awareness of cultural heritage. Visit available for purchase by phoning +39 0922 1839996 or at the ticket office on the day until 15 minutes before the start of the visit, subject to availability. 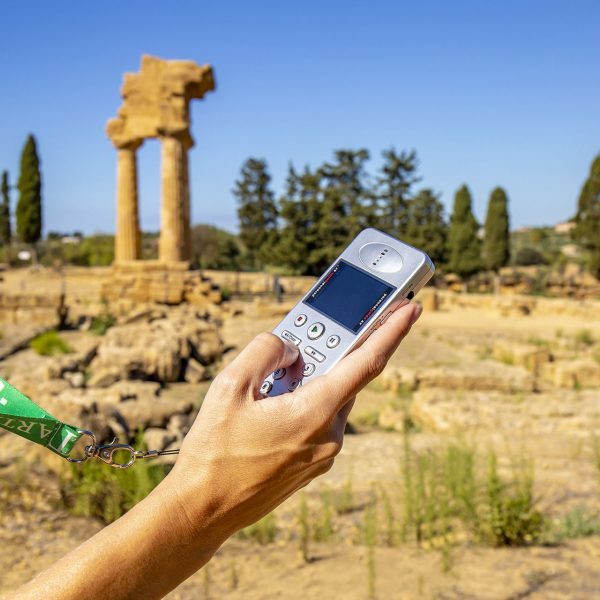 Audioguides can be rented at the ticket offices of the Valley of the Temples and offer visitors the opportunity to explore the Park independently thanks to simple and comprehensive explanations of the most important attractions of the site. The audioguide is available in: Italian, English, French, Spanish and German. Group tours of the Valley of the Temples and the underground itineraries are available in Italian and English. The experienced tour guides, archaeologists and educational staff of CoopCulture will take you on a journey of discovery of the unique itineraries and fascinating monuments of the Valley of the Temples, exploring the site's artistic, historic, mythological and archaeological heritage. 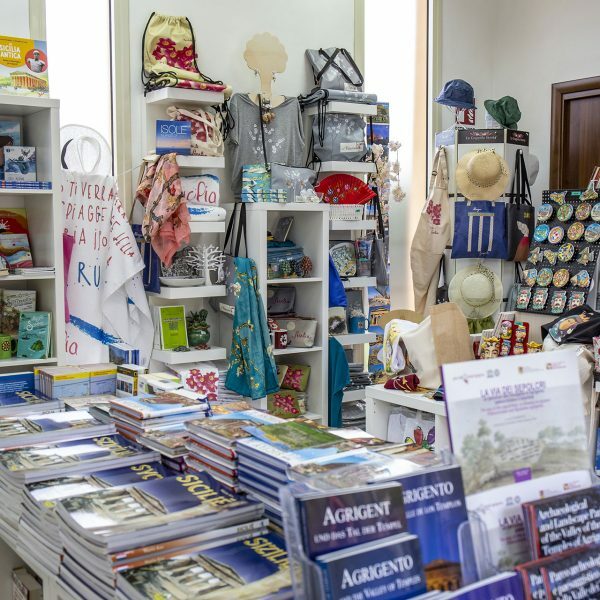 The bookshops sell products that represent the best examples of high-quality local craftsmanship: stone, wood, terracotta and metal crafts of all shapes and sizes offer the perfect souvenir to remind you of your experience here, or to take home as gifts for friends and relatives so they get have a taste of your visit. The bookshop offers a wide selection of guidebooks, books and themed publications with up-to-date, high quality texts and illustrations to accompany your visit, as well as educational material designed to fascinate our youngest visitors with history, mythology and archaeology. The bookshops are located at Gate V and the ticket office at the Temple of Hera Lacinia (Juno). Opening times coincide with those of the ticket offices. Tradition and culture with a Sicilian twist in a culinary experience achieved using only the best fresh, genuine and high-quality ingredients: an exploration of flavour to suit every taste, from ricotta cannoli with chocolate chips and freshly harvested pistachios to the comforting simplicity of sandwiches made with “panelle”, traditional Sicilian fritters. 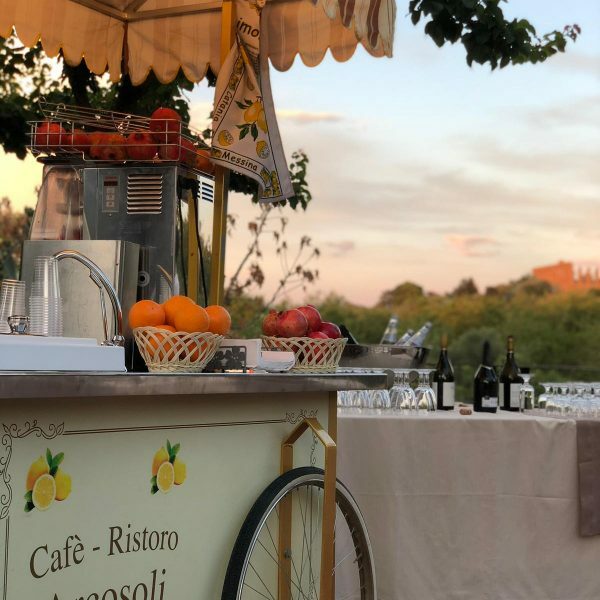 The café is located by the Temple of Concordia and is open during the Park's opening hours. 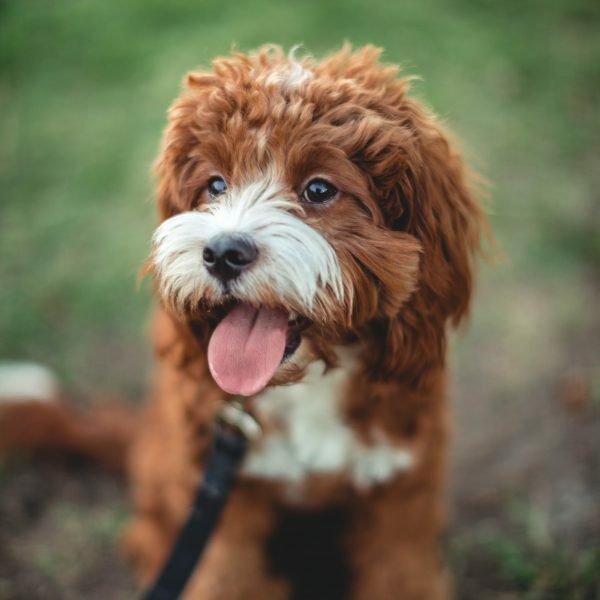 Access to the animals is allowed - provided they are on a leash - with a scoop and hygienic bag for the collection of dejections and, in the case of large animals, equipped with a muzzle. Inside the Archaeological Area they can not enter the temples or approach the monuments. fly to Falcone Borsellino airport in Palermo, Vincenzo Florio airport in Trapani or Fontanarosso airport in Catania. Continue by bus or car. 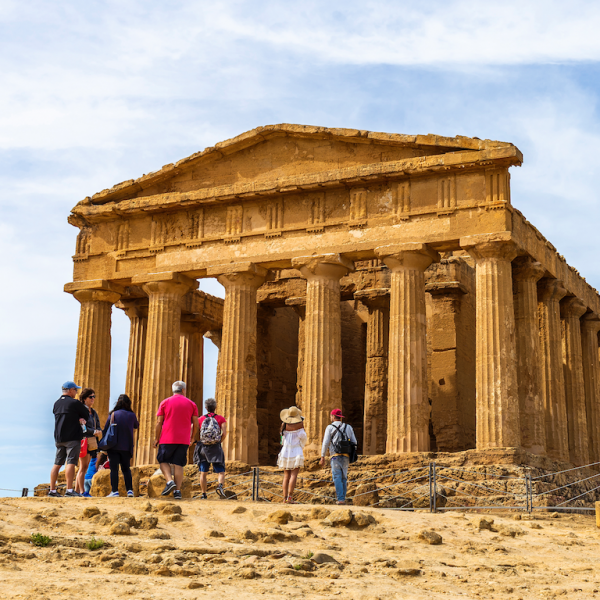 Travel time from the airport to Agrigento is approximately two hours. Local buses (numbers 1, 2, 2/, 3/) to the Valley of the Temples depart from the bus station at Piazzale Rosselli and the central railway station in Agrigento (Piazza Marconi). From the bus station at Piazzale Rosselli and the central railway station in Agrigento (Piazza Marconi), take bus no. 1 or 2 to “Fermata Museo Archeologico” and bus no. 3/ to “Fermata Museo Archeologico” (requested stop). Leave the bus and cross the road; the Entrance/Ticket Office – Hellenistic Theatre is located 20 metres to the right. from Palermo (130 km) follow the SS121 and take the Agrigento/SS189 exit. After Aragona follow signs for the centre of Agrigento or, to go straight to the Valley of the Temples, follow signs for Caltanissetta, Canicatti and merge onto the 640 (Caltanissetta – Porto Empedocle) towards Porto Empedocle. At the Giunone roundabout, below the Temple of Hera Lacinia (Juno), take the tree-lined avenue to reach the Sant’Anna car park of the Temple of Hera Lacinia (Juno). From Trapani/Erice (175 km) or Selinunte (99 km), take the SS115. After Porto Empedocle follow signs for the Valley of the Temples. From Taormina-Catania-Syracuse take the Catania-Palermo motorway. 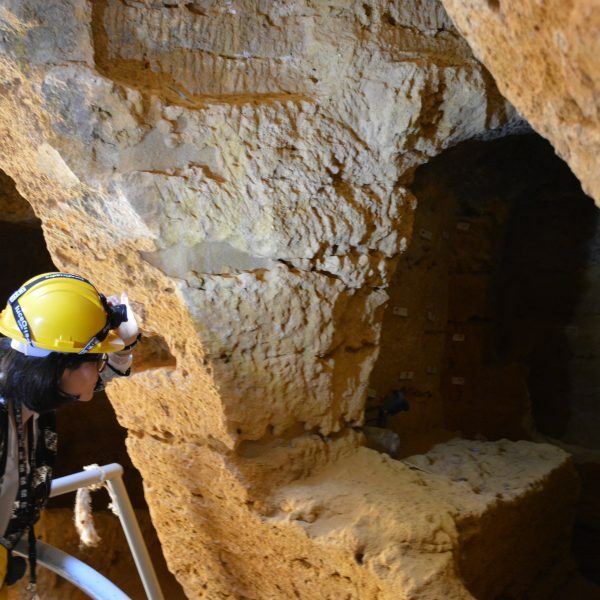 After Enna, take the exit towards the 640 Caltanissetta/Agrigento, following signs for Caltanissetta and then for Porto Empedocle to reach the Giunone roundabout below the Temple of Hera Lacinia (Juno). Follow signs for the Valley of the Temples to reach the car park. From Ragusa take the SS115 to reach the Giunone roundabout. From the centre of town (Agrigento central railway station – Piazza Marconi) take Via Francesco Crispi, keep right and continue straight on at two sets of traffic lights; after 1.5 km, turn left at the fork and follow signs for the Valley of the Temples, joining the Valley of the Temples Panoramic Road. Follow this for 1.4 km then turn right to enter the official car park of the Temple of Hera Lacinia (Juno). From the centre of town (Agrigento central railway station – Piazza Marconi), take Via Francesco Crispi, keep right and continue straight on at two sets of traffic lights; after 1.5 km, continue straight on at the fork onto Via Passeggiata Archeologica for 550 m; at the second fork, turn left and follow signs for Valley of the Temples for 1.3 km. At the roundabout below the Temple of Heracles, take the first exit on the right and follow Viale Caduti di Marzabotto for 200 metres then turn left to enter the official car park of Gate V.
From the centre of town (Agrigento central railway station – Piazza Marconi), take Via Francesco Crispi, keep right and continue straight on at two sets of traffic lights; after 1.5 km, continue straight on at the fork onto Via Passeggiata Archeologica for 550 m; at the second fork, follow signs for Museo Archeologico and keep left for another 150 metres; turn right, continue for 100 metres then turn right into the official car park of the Pietro Griffo Regional Museum of Archaeology, located opposite the Entrance/Ticket Office – Hellenistic Theatre. From Palermo central railway station to the Valley of the Temples there are 13 daily trains from Monday to Friday, 10 on Saturday and 6 on Sunday. Travel time is approximately 2 hours. Agrigento central railway station is located in Piazza Marconi in the town centre. Tour buses are not allowed to wait in the car parks at the Entrances/Ticket Offices of the Temple of Hera Lacinia (Juno), Gate V and the Hellenistic Theatre. Tour buses may park in the coach park run by the Municipality of Agrigento. Parking is permitted in the official car parks of the Temple of Hera Lacinia (Juno), Gate V and the Pietro Griffo Regional Museum of Archaeology, located opposite the Entrance/Ticket Office - Hellenistic Theatre. Camper vans and vans are permitted only in the Gate V car park. Motorcycle parking is permitted in the official car parks of the Temple of Hera Lacinia (Juno), Gate V and the Pietro Griffo Regional Museum of Archaeology, located opposite the Entrance/Ticket Office - Hellenistic Theatre.